Hi I'm Penni P; the designer maker & head Honcho of the crafty website SewSmitten.com. I graduated from a Surface Design degree in June 2007 & from as early as I can remember I have always had a keen interest in the creative arts. Being practical is what I thrive at most, so whilst working part time as a studio assistant for other designer makers I decided to set up SewSmitten to make, sell & display my handmade wares. Hello I'm Gnome; a freelance graphic designer, print & book maker, boyfriend & the second half to the SewSmitten team. I graduated from a degree in Book Arts & Crafts in June 2008, I have always loved drawing & I am an avid printmaker so I was very keen to get involved & contribute to SewSmiten & the creative side of things. Our collection of goodies include handmade oyster cardholders, bags, purses, accessories, cards, prints & kitchen-wares all featuring original artwork designed & printed by our own crafting hands. We've always enjoyed working with different mediums so our inspirations stem from many sources & we are constantly looking out for new ideas. I especially have a fondness for the 50's, kitsch themes, bold imagery & antique machinery. But I'm always eager to learn new skills & create new things so you can be sure to expect unique & exciting designed products from our collections. Our best seller by far has to be our Oyster Cardholders, which were actually the first thing I started making when I finished University. The idea came to me when I started to think about what useful products I could make, & the bonus of living in London meant that the birth of the oyster can almost guaranteed that everyone used one. This product has proved to be our best seller because we’ve provided many different designs over the years, they are fun, appealing, durable, useful, and also a great gift to give others. 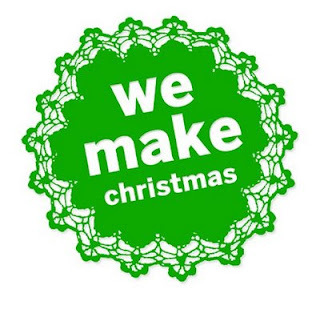 SewSmitten will be selling our full range of handmade goodies at this years We Make Christmas fair, it will be our debut at the event so we will be offering lots of fab favs as well as some new stuff too. Among our handmade stash you’ll find; Oyster Cardholders, Passport Holders, Framed Coin Purses, Clutch Bags, Cards, Tea-towels, Aprons, Gift Sets and many more fun Accessories. It was also recently our 1st birthday so in generous appreciation we will be offering lots of exclusive special offers and maybe some surprise treats too! But if you can’t wait till then we are still running our amazing 2 for 1 offer online now on some of our stock so get shopping early to receive a great bargain!